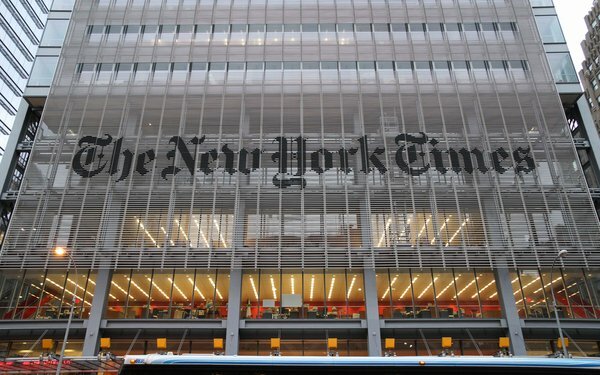 The New York Times Company is pressing a judge to order the Federal Communications Commission to turn over information about comments submitted in the 2017 net neutrality proceeding. “The logs will likely reveal the true extent of the fraud that infected the net neutrality rulemaking,” the newspaper argues in court papers filed Wednesday with U.S. District Court Judge Lorna Schofield in the Southern District of New York. “In the wake of Special Counsel’s Robert Mueller’s recent indictment of 13 Russian individuals and three Russian companies for interfering with U.S. elections and the U.S. political system, the public interest in understanding how these cloud-based automated bots are being used to influence an array of U.S. political activities -- including the agency notice-and-comment process -- is exceptionally high,” Judge Schofield added. The court papers come in response to a lawsuit filed last September by The Times, which is investigating possible Russian meddling in a proceeding that resulted in the repeal of the Obama-era net neutrality rules. Those rules prohibited broadband providers from blocking or throttling traffic and from charging higher fees for fast-lane service. In April 2017, FCC Chairman Ajit Pai proposed revoking the rules. That proposal drew a record-breaking 22 million comments, but many were submitted under fake names, or by Russian bots. The precise number of fake comments is unclear, but around 450,000 came from Russian email addresses. The newspaper argues it is entitled to the information under the Freedom of Information Act. The FCC argued earlier this year that the information is exempt from FOIA laws. Among other arguments, the agency says turning over IP addresses and time stamps could violate the privacy of commenters. But The Times says in its new papers that the risk to commenters' privacy is small, arguing that most web users have different IP addresses now than in 2017. The newspaper also says the IP logs will reveal clues about the geographic locations of commenters -- including whether they came from Russia. “The public importance of the information is plain: Release of the log will permit reporters to determine -- to a greater degree of certainty than possible based on currently public information -- whether the FCC’s handling of this important public policy matter was unduly affected by fraud, and, quite possibly, deliberate interference in the United States’ established legal framework for public participation in agency rule making,” The Times writes.